Saraswati Puja is a festival that is celebrated mostly in the state of West Bengal in India. This day generally coincides with Vasant Panchami, and as a part of the celebrations, people offer prayers and seeks the blessings of Goddess Saraswati, the supreme deity of all learning and knowledge. People also organize cultural programs and literary meets to pay their reverence to the deity and prefer to dress in yellow colored clothes. 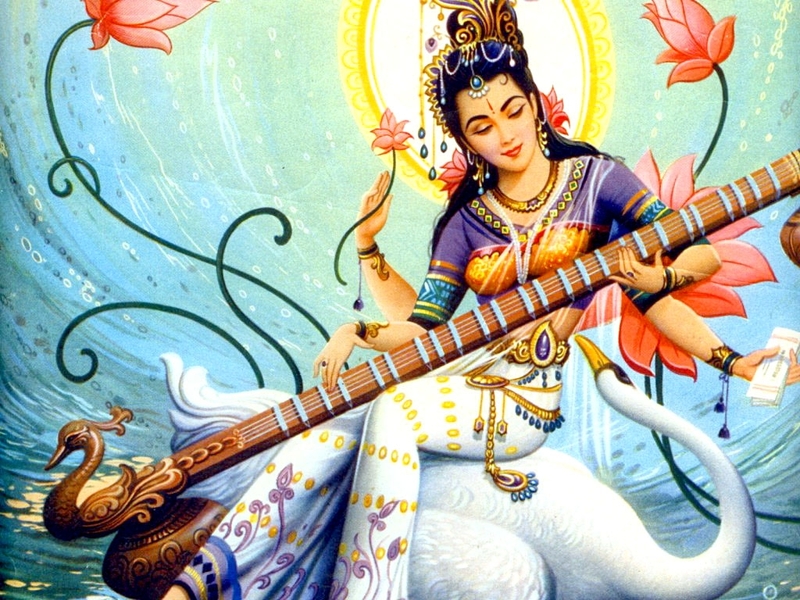 There are several legends associated with the origin of Goddess Saraswati. However, the one thing that is common to all these legends is that the Goddess have four hands, with each hand representing the mind, intellect, alertness and ego of human beings. The lotus in one of her hands symbolizes true wisdom. 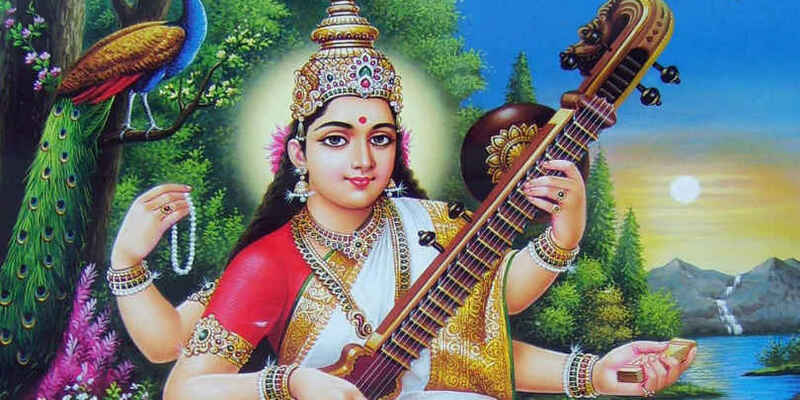 The Goddess, who adorns a white saree, also holds the Vedas in her hand and is seen playing a veena with the other two. While the Vedas represent all the knowledge and learning, the veena is believed to play the music of love and life. The goddess is seen riding a big white swan, with the bird symbolizing purity. It is believed that people who are favored by Goddess Saraswati are extremely intellectual and skilled in the field of education and various art forms. One legend states that the great poet Kalidasa, was originally a foolish and dull man, who by sheer luck got married to a princess. However, the princess soon left him this depressed Kalidasa to the extent that he decided to end his life. It was then that Goddess Saraswati revealed herself in front of the poor man and blessed him with great knowledge. It was due to her blessings that Kalidasa turned from a dumb lover into one of the greatest poets in Indian history. An important part of the Saraswati Puja rituals amidst the Bengali community, is the performance of Hatey Khori. It is the ceremony in which toddlers write one or two alphabets in English or Bengali, for the first time. It is usually performed with the kids sitting in front of the idol of Goddess Saraswati to seek her blessings for great intellect.